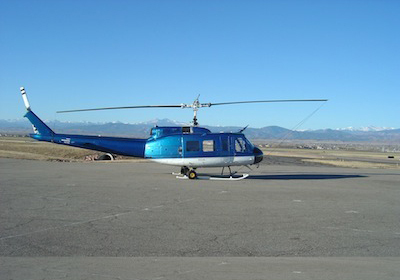 Bell UH-1H – 13,100 TTAF | Helicopters | Lowell Tucker Enterprises, Ltd.
As per STC A/C has all approved UH-1H Huey II modifications. Utility equipped, Left Seat Vertical Reverence Window, Onboard System w/Window Instrumentation Installed, Hi-Vis M/R Blades, WSPS, Donald Barrier Filter, Extended Skid Gear, BLR FastFin Modification, Tail Boom Longeron Modification, VanHorn Tail Rotor Blades, Basic Utility Avionics. USFS Approved. Original and Complete Airframe and Engine Logs Following STC Certification. No Damage History Known. Please call for pricing and spec sheet.